If you're a Kirby fan, or have an interest in learning more about the games of yesteryear, then Kirby's Dream Collection is an absolute no-brainer. Despite being one of gaming’s most unique characters, Kirby is also one of the industry’s most under-appreciated creations. It’s a shame, but it’s true. 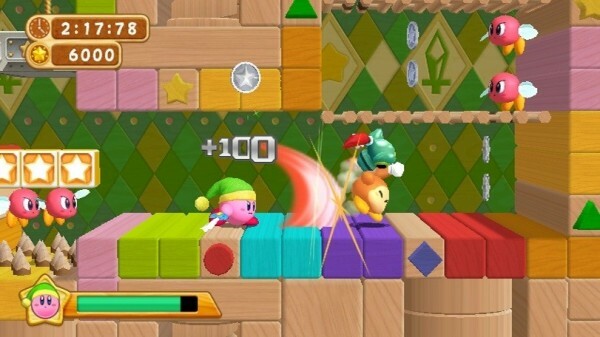 As a result, the transforming pink blob normally takes a backseat to Nintendo mainstays like Mario, Luigi and Donkey Kong. However, that’s not the case this month, as the character who was originally created as something easy for designers to draw has turned twenty years of age. Thankfully, that milestone didn’t come and go without celebration. 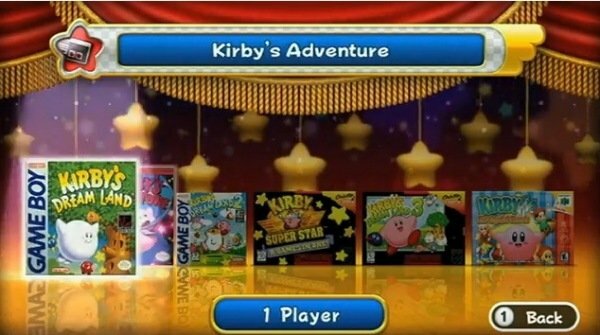 In order to draw attention to its pink pal’s big birthday, Nintendo has released Kirby’s Dream Collection. Beautifully packaged and very well made, the set offers retro gaming lovers and fans of the Japanese gaming giant an assortment of six classic Kirby titles from yesteryear, in addition to some impressive bonuses. Spanning from 1992 to the year 2000, its title list includes Kirby’s Dream Land (Game Boy), Kirby’s Adventure (Nintendo Entertainment System), Kirby’s Dream Land 2 (Game Boy), Kirby Super Star (Super Nintendo), Kirby’s Dream Land 3 (Super Nintendo) and Kirby 64: The Crystal Shards (N64). Needless to say, it’s an ode to part of our hobby’s great history, which will certainly appeal to fans of platformers. After players select a title, emulation software runs off of the disc, essentially opening the game in its own portal, which must be closed by heading back to the Wii’s main menu. It makes sense from a technical standpoint, and happens to be a system that works without issue, offering save points when required. Simply put, the emulation works like an absolute dream, and it seems as if some of the games have received some visual smoothing. Considering their age, they look fantastic, and (seemingly) better than ever. For those who aren’t familiar with the titular protagonist, Kirby’s Dream Collection is a phenomenal starting point. First off, its offered games present a quality timeline, with some well-designed platforming content and lots of neat abilities that aren’t available elsewhere. After all, there aren’t any other characters who inhale their enemies then shoot them at other baddies, and the same can be said about his ability to transform into digested foes. Add in the option of floating through levels and you have an incredibly unique protagonist. 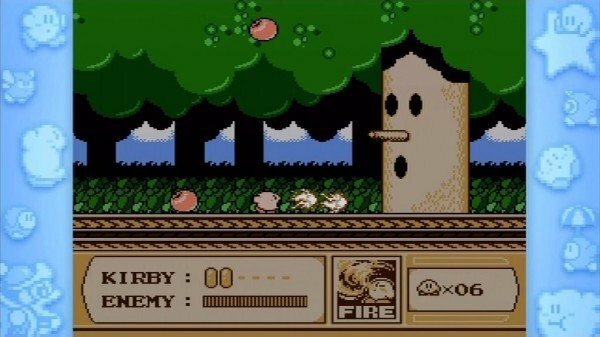 In addition to its retro gaming repertoire, Kirby’s Dream Collection also offers its own set of challenge levels, along with a fantastic timeline and episodes of the Kirby: Right Back At Ya! cartoon. Although the challenges are quite short, and only offer about an hour of extra content, they’re definitely worth playing through. Each world concludes with a race against a familiar series baddie, and all of the basic stages present different transform abilities to try out. There’s a nice mix of combat and time-sensitive platforming, with a scoring system that awards points for collecting coins and killing enemies, but takes away a certain amount whenever Kirby is hit. The system works very well, and offers replay value due to its metallic medals and trophies, but it would have been nice if online leaderboards were included. On the presentation side of things, this celebratory package is a beauty. It comes in a colourful box, which houses the game’s plastic case, its impressive soundtrack and an incredibly informative booklet. The commemorative nature of the book is evident, and it’s chock full of interesting tidbits about Kirby’s history, including the original pitch and some neat storyboards. Combine that with some of the best emulation I’ve ever seen, plus quality audio and good-looking challenge levels featuring Wii visuals, and you have an impressive-looking set, not to mention a very classy one. If you’re a Kirby fan, or have an interest in learning more about the games of yesteryear, then Kirby’s Dream Collection is an absolute no-brainer. Nintendo has done a fantastic job with this set, and deserves to be commended for giving one of its second tier characters a chance to shine, which the pink puffball definitely deserves. Don’t miss out on this one. This article is based on a copy of the game that was provided to us for review purposes.